We are always looking for new talents so get in touch. 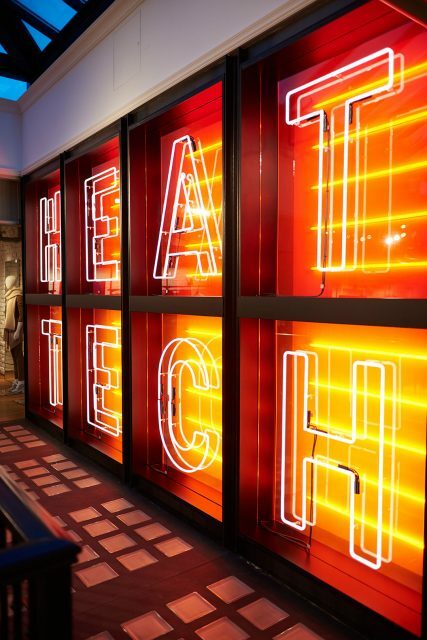 Uniqlo’s high-tech winter clothing range – Heattech, has developed into a product that embodies the Japanese brand. 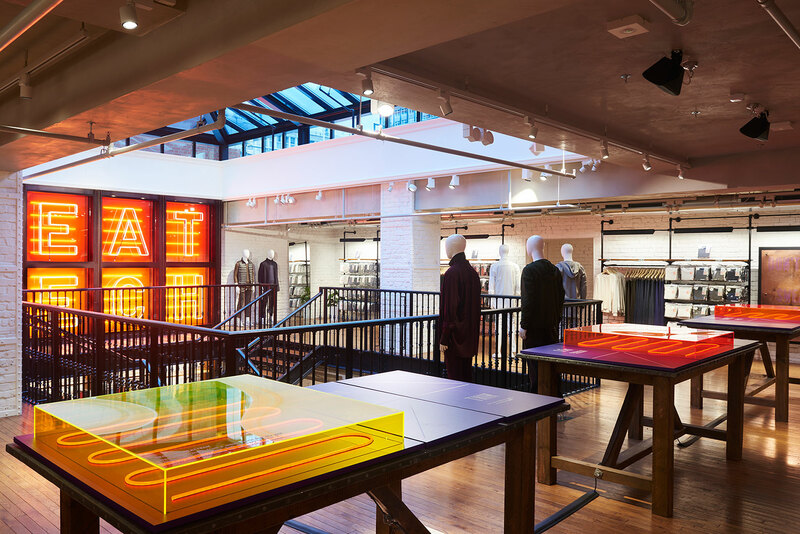 For the 2016/17 winter campaign they teamed up with creative agency Anyways to design and curate the conceptual sales area at London’s flagship store on Oxford Street. Anyways brought us their creative and with it the wonderful task of bringing the designs to life. 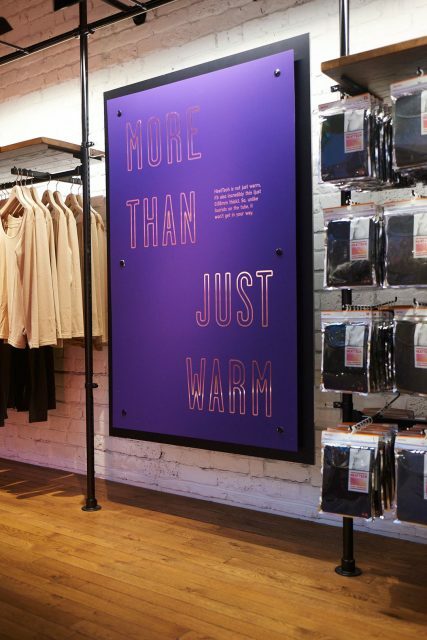 The collaboration resulted in an immersive retail experience through the clever use of colour and light, creating the undeniable feeling of warmth. 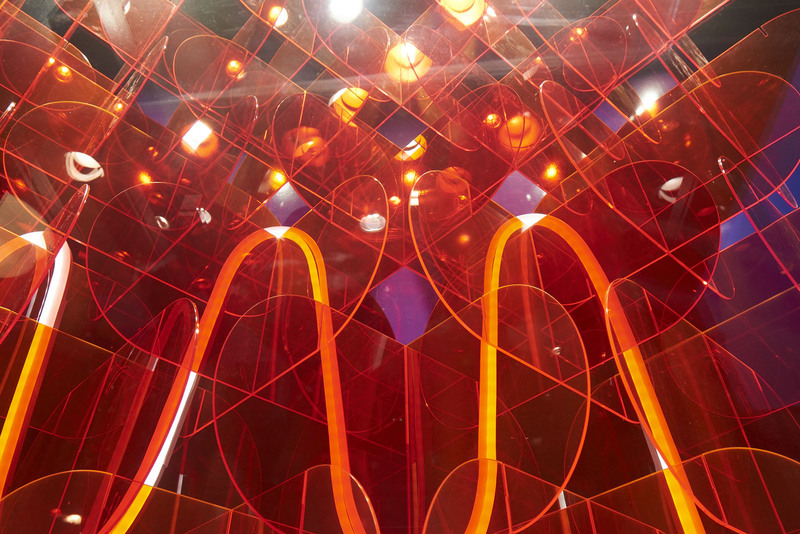 The main feature wall is a multi-layered and multi-coloured acrylic light display. 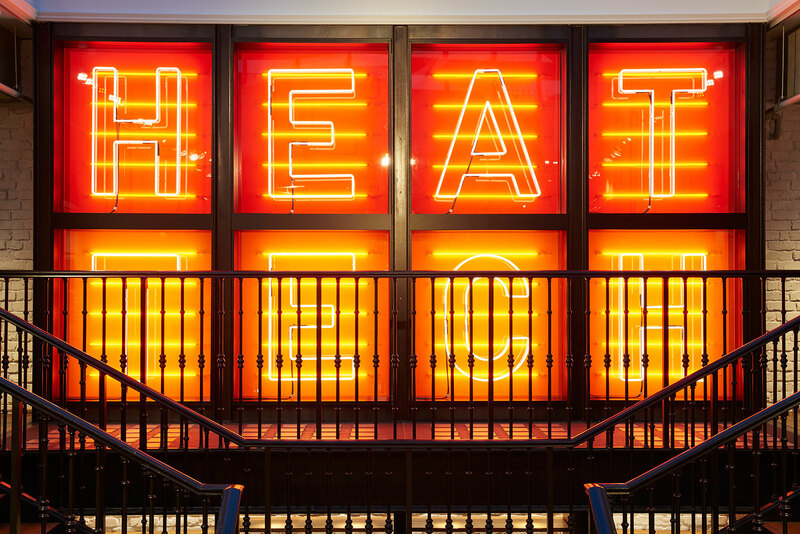 Combinations of fluorescent and neon lighting inside a slim matt black casing really sets off the lights. 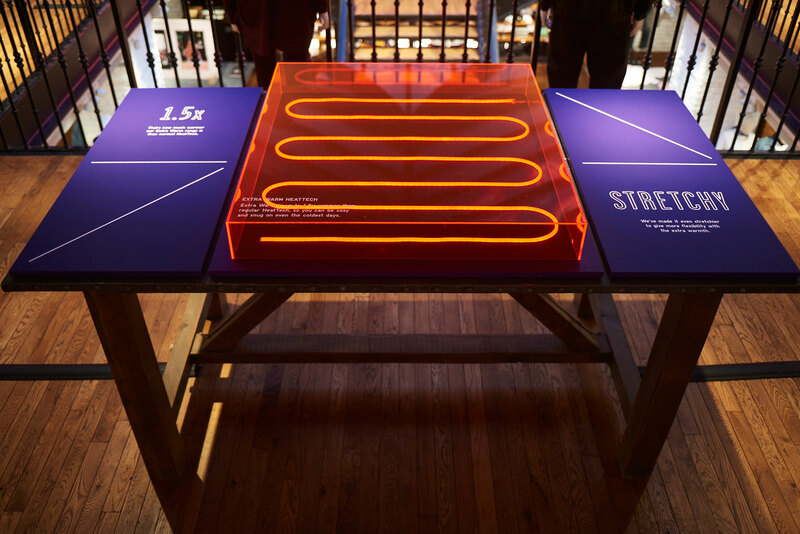 The tables were neon encased with neon acrylic covers layered on to print mounted panelling. 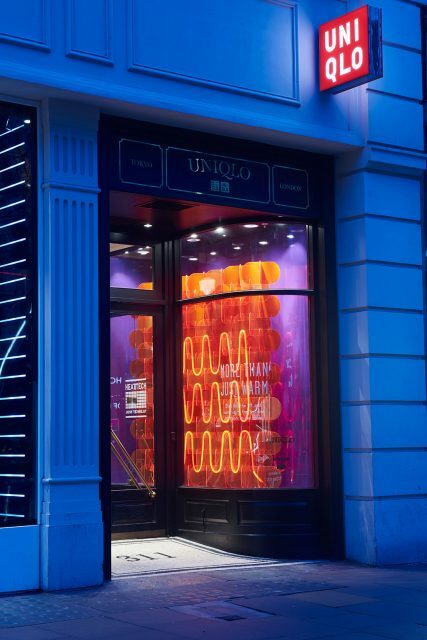 The window display is comprised of hundreds of individual neon acrylic pieces designed to slot together with carefully entwined neon lighting. The walling all built out with printed panelling to give a seamless finish. We specialise in large format print, production and installations.